I remember the call for the workshop. I jumped at it and was about to send my piece when I discovered a clause: it was for people of about 15-twenty-something. Well, that means I was out of the range. Age!! Grrrr!! I was deeply touched by the whole event and I bring you near minute details of what I could catch. If you are busy, skim through. For me, I reflect again on it all and bless the memory of that lady. 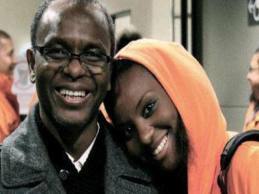 Yasmin was 25 years old and the daughter of the former Minister of the FCT, Mallam Nasir El-Rufai. She passed on in London in November, 2011. Wherever she is, may the Almighty keep her right. Mrs. Eugenia Abu took the stage to deliver her ‘paper.’ She had just come in from another engagement – amazing woman. Well, she spoke on the power of Literature and its impact in a nation. Literature and National Building. Mrs. Abu spoke of Literature in various dimensions: ‘as important for national pride; for healing; for entertainment; for education; for cultural integration; for respect; for love; and so much more’. ‘A nation goes to its knees when literature loses ground. Literature is about entering into other people’s cultures and letting them get into yours’ she continued. And I agreed with her totally on that, adding mentally that it gives us the chance to live lives we never really might get the opportunity to. She spoke of how she travelled with Tutuola, Russian writers and so many other people on literary roads. Not on one occasion, her mum had to go fetch her back from those lovely travels. But she grew and grow she (Mrs. Abu) did. ‘I would want to teach in future, to show that there’s a reason for finding that word at late at night. Waking up at 2:00am to put a word to paper is worth it.’ She read a poem ‘Yasmin’ in honour of the departed ‘Yasmin’ and took a bow to a standing ovation. 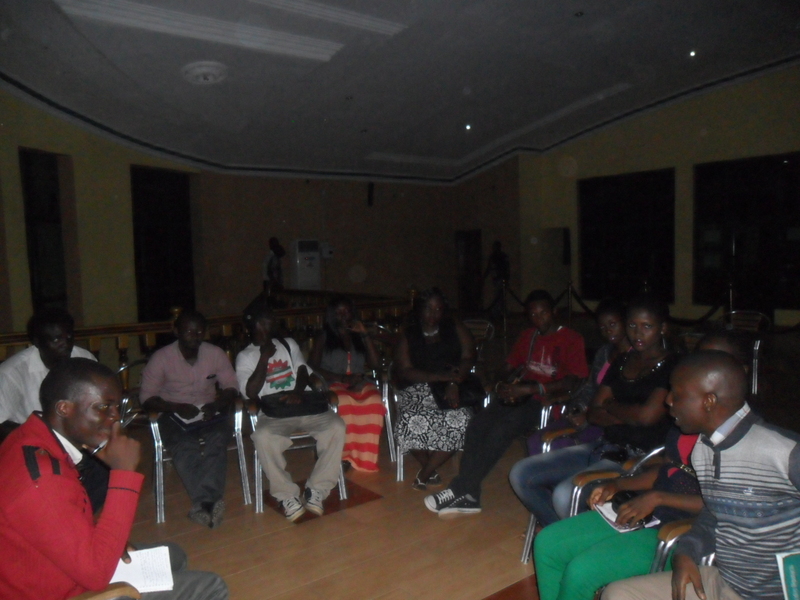 After the lecture, the presentation of the literary journal, ‘Abuja Review’ was done. Yasmin’s face graces the front page. It was time for the presentation of certificates, which was done by Mallam Nasir El-Rufai. He took the time to thank people for coming, joking about the number of male participants in the workshop. It supported something he read recently that in a few years, men would be extinct (Yikes!). Next, was the time for ‘Words from Yasmin’s parents’. El-Rufai made it clear that the role wasn’t for him but his very own Oga at the top, Mrs. Hadiza, to some general laughter. Immediately Mrs. Hadiza Isma El-Rufai, Yasmin’s mother took the podium, there was silence. 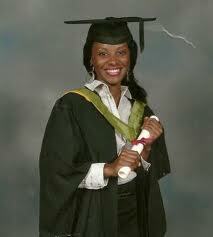 Dressed simply in traditional Hausa attire, her face wore a soberness that more than bore the nature of the event. She read an article ‘Serendipity‘ in a voice laden with deep emotion that wasn’t totally of sadness. Yes, the tears were there and the former Minister of the FCT, Mallam El-Rufai dabbed his eyes a bit too. But it was more. There was this other thing in her voice – of a mother talking of a child not gone. Of a child in whose thoughts she still basked. And her prepared note expressed it more. IT was the high point of the evening and the true celebration of the young lady, Yasmin, departed to higher realms. She spoke of their connection and her affection for that lovely daughter of hers. Mrs. Hadiza had also written a sonnet for her daughter, which praised the soul of that young one in a joyful celebration that this daughter was all she (the mother) should rather have been. A mother’s thoughts of/to her child in various coincidences not originally sought: Serendipity. People gave their various thoughts on Yasmin, from family to friends. They spoke of her in warm words that celebrated her more than mourn her. One might have been excused for thinking that the lady spoken about was still alive for there was a glow in the expressions of those talking. And you could just feel it that this lady must have been really special and loving. Indeed, a loving lady loved. Someone whispered by my side: ‘It’s good to have a rich father.’ I thought about this for a while. Well, no doubt. It is. More than that, it is better to live a worthy life whether of humble or great parentage for eventually it doesn’t matter which spoon we are born with. Life finds a way to pay our memory with what it deserves. If not now, later. If not here, in the here-after. Tunji Ajibade gave the vote of thanks. The MC, poet Oke Ikeogu called for the National Anthem which we recited. I said my hellos to several people and had some chat with Tunji and the former Minister. It was time to run and catch up with my main event. My cousin’s daughter needed a name and though I wasn’t going to name her Yasmin, I wondered what life lay ahead of that young one. Now, what really is the difference between the two? You might not have paid attention to it but trust me, there is a big one. Ever been in charge of any literary organisation anywhere? I have. That is literary administration. The thing about literary administration especially when you are truly committed to the cause of literary promotion is that you find out that you do not have so much time to focus on building your career. Trust me, I should know. Many writers in the spirit of literary evangelisation have tried their best and found out that one has suffered – your writing or your organisation. It is particularly worse in a country like Nigeria where we are only learning to promote our writings. 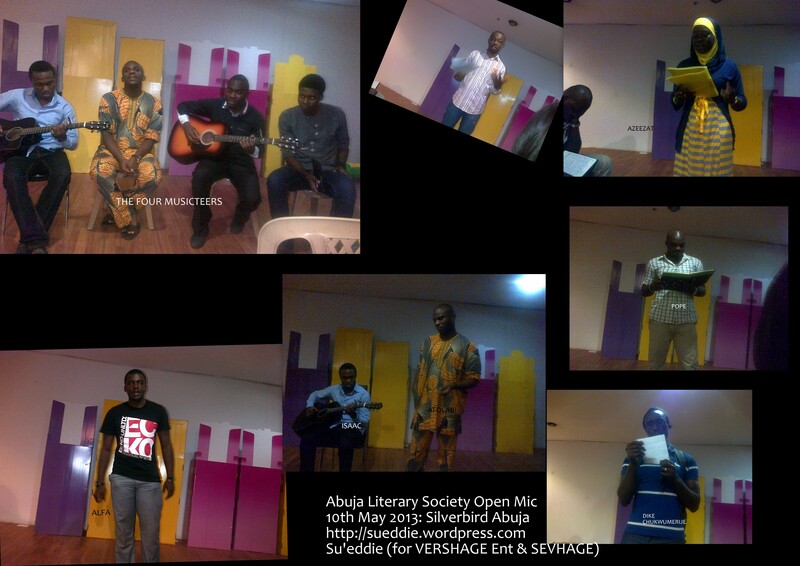 Literature is one of the most neglected aspect of the Nigerian entertainment scene and why not? Most writers would rather not entertain but write in the usual style of commitment that many African write-ups have come to embody. Do we need to mention the Achebe, Aidoo, Ngugi, Soyinka and other calls that literature should be in the service of humanity and the society afore anything else? Yes, yet, they had a way of writing that would catch a reader’s interest. Most of our writers these days have turned their focus to writing pamphlets and booked journals that can easily pass for newspapers if read to you with your eyes closed. Whether it is in poetry or in prose and yes, plays, you find the same thing. When the average Nigerian has had his/her fill of that on NTA and the newspapers or the reality of time that stares them in the face, why would they want to patronise that? Again, when the writers would have most of their publications done shoddily with either covers that are not attractive or jobs that are badly edited, who would want to read such? Literary administrators come in here. No matter the forum they head or the medium through which they do their administration, they have the chance to correct most of these wrongs. They have the chance to bring some publicity to writers and introduce them to a wider readership. Through membership of their groups or magazines, or whatever, they can create some serious fellowships that writers would key into. These administrators can also hype the literary field and make it bigger. How? Celebrate writers more. Make events elaborate. Colour them and make writers and writings to look like it is the best thing in the world. Seriously, if you don’t make yourself look real good or take yourself and what you profess seriously, who would? There is a whole lot to all of these and a certain fusion can be brought to create better writings and fellowships all over. Passion and a mind to create literary growth should be underlining any single writer or administrator. Sure, in better places the writer has the chance to be aloof and all. We really do not have that ‘luxury’. We have to ensure we all do some literary missionary work. One way or the other, we need to encourage people around us to read more literary works. We need to ‘up our game’. We need to meet up and strategise on how to make literature work. That is the only way we can do it. Better days call to us all. Then, even the literary administrators would be able to relax a bit and write their works more comfortably. Till then, it’s back to work. Which reminds me that I have to go back to organisation of an election. Phew! The organisations: Association of Nigerian Authors, Abuja Writers’ Forum, Abuja Literary Society. Google them but the best way to get to them is on Facebook.